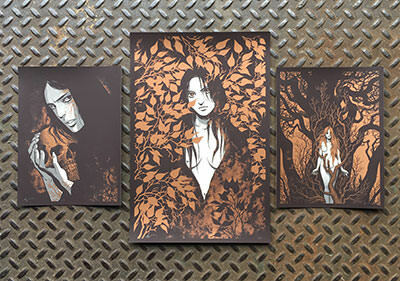 Burlesque has a variety of mini art print by Becky Cloonan and Richey Beckett available in their shop. 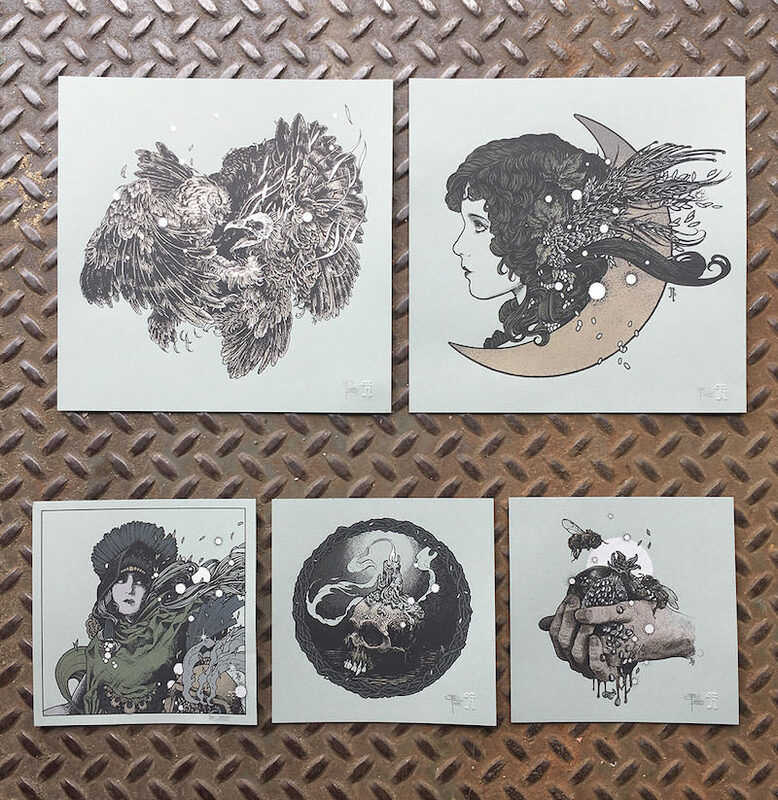 Beckett’s 12″ x 12″ screenprints are $25 each, his 8″ x 8″ screenprints are $15 each. Cloonan’s Trismegistus Triptych has an edition of 100, and costs $65 per set. Visit BurlesqueDesign.com.